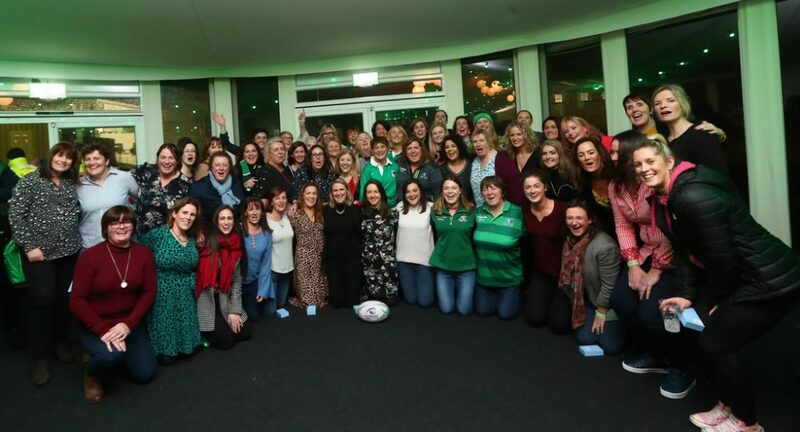 Last November Connacht Rugby hosted the first Connacht Women’s Recognition Evening, and now we’re taking it to the next step. “Play. Meet. 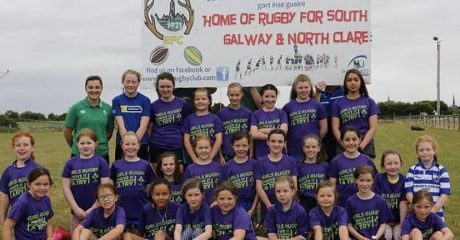 Learn.” is an occasion for women’s players and volunteers past and present to come together for game of touch rugby, a post-match catch-up over some food, and learn about some of the opportunities women can avail of if they wish to become active in the sport. The day begins at 12pm with an optional game of touch rugby for all past and present players. 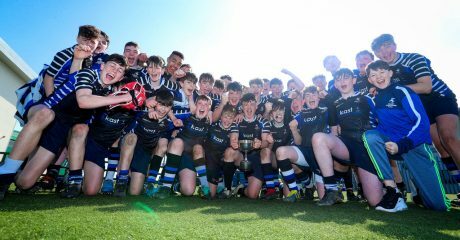 Following the game lunch will be available in the Clubhouse while a number of Connacht Rugby staff will be on hand to provide information on those who wish to get re-involved with the sport, whether it be coaching, refereeing, welfare and more. Everyone attending will then get to watch the Corinthians’ men as they take on Skerries in their All-Ireland League Division 2B clash (k/o 2.30pm). 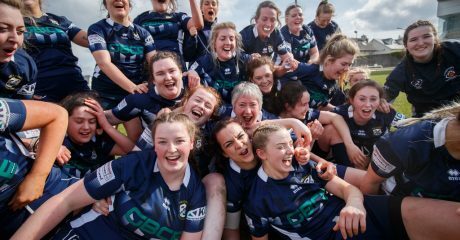 Then to top it off the Clubhouse will be showing the Italy v Ireland Women’s Six Nations tie (k/o 5.30pm). 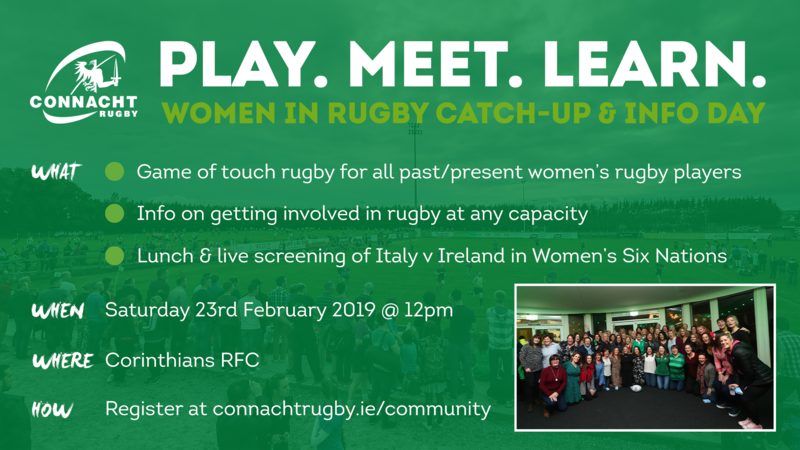 If you wish to attend fill out the registration form below before Sunday 17th February, or if you require more info email Yvonne Comer at [email protected].